Here at Iscream, we don't do boring. We make products that are bursting with personality—and our tie dye furry wallet is proof. 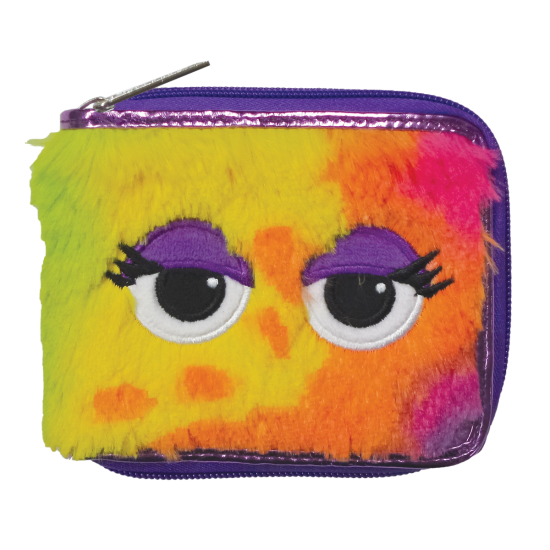 With rainbow-colored fur and embroidered eyes, this wallet is anything but ordinary. And, as if the exterior isn't cute enough, tweens will flip over the pretty iridescent interior.